I've always loved combining colors and crocheting of course. 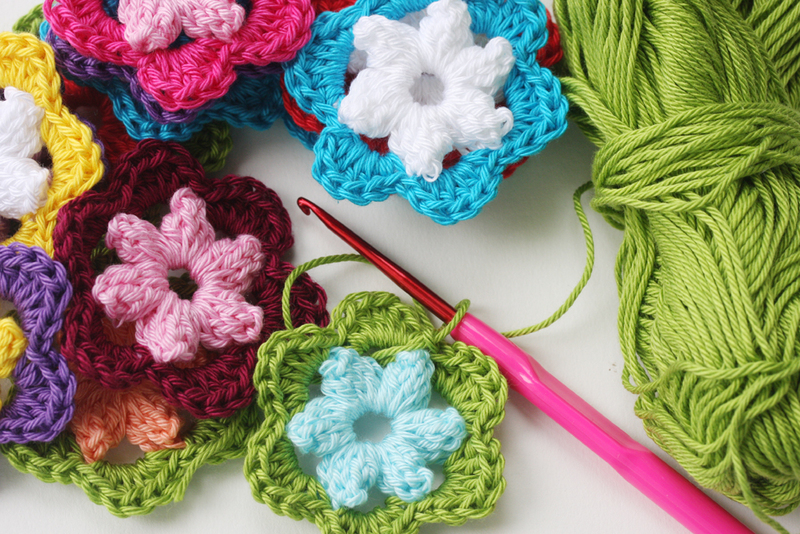 Recently I've learnt to make a new crochet flower. So I started to make ! Now I can't stop, trying new color combinations. Hopefully turn them to a new project or some new supplies for other crochet or scrapbook lovers. For more creative spaces, please visit Our Creative Spaces . beautiful. i love your cuffs. Oh I know this "can´t stop";)love your colorful crochet flowers!